...in crowded KATHMANDU or in the remote Himalayas like KHUMBU, MOUNT EVEREST, ANNAPURNA, LANGTANG or MANASLU! With our GPS trekking and street maps of the whole Himalaya region you will always know where you are! We offer highly detailed digital topographical trekking maps as well as detailed digital street maps for vehicle navigation. 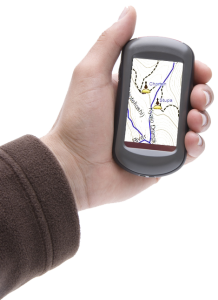 Our digital GPS vector maps are available for GARMIN® GPS-receivers as well as for almost all Smartphones ans Tablets like APPLE IOS®, ANDROID®, and WINDOWS®! 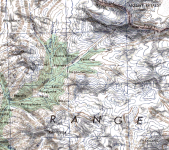 The vector maps offer several highend features like fully routable on streets, trails and treks, searchable Point-Of-Interests, searchable street level, detailed topographic contour lines (interval 20m), height profiles for routes and tracks, regionwide detailed street layer and many more. 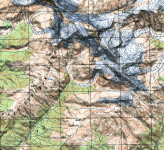 For all major mapping software like QuoVadis®, GlobalMapper® and Fugawi® we also offer different topographic raster maps of the Himalayan region, a detailed Digital Elevation Model as well as detailed vector maps (QuoVadis® only). Our digital vector maps are available for Garmin®-GPS-Receivers as well as for almost all Smartphones, Tablets and Windows® computers using QuoVadis®, a powerful GPS third party software. For Garmin® receivers, this includes all “On the Road”-Receivers as well as all “On the Trail”-Mapping-Handhelds. For Smartphones and Tablets, the software is available for Apple iOS®, Android® and Windows Mobile®. 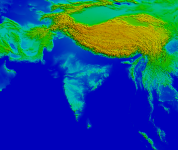 The digital raster maps and DEMs are available in a wide range of file formats, capable for QuoVadis®, Global Mapper®, Fugawi®, OziExplorer® and many more.